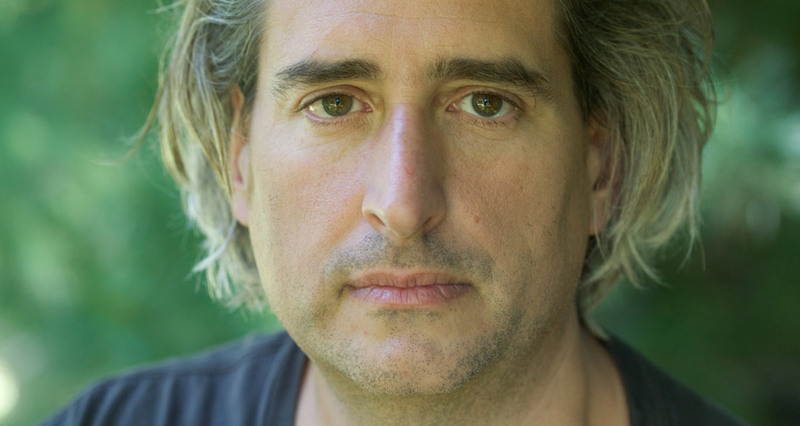 American photographer Gregory Crewdson has earned a lofty reputation in the international contemporary art scene during his 25-year career. His elaborately staged photographs are hauntingly beautiful, conveying melancholy, anxiety, and a brooding disquiet. His subjects – whether fireflies, people or crumbling Roman ruins – appear suspended between the normal and the paranormal, between reality and imagination. Exploring conflict between the possible and the impossible is what spurs Gregory to make art. His latest exhibition, In a Lonely Place, will feature at the Institute of Modern Art (IMA) from March 16. As a photographer, Gregory Crewdson is obsessed with capturing the one perfect moment and freezing it forever. Yet, unlike other photographers, Gregory doesn’t just take photos, he makes them. Much like producing a film, Gregory will often spend months in the lead-up to a shoot creating sketches and storyboards, building sets and designing lighting, planning intricate schedules and wrestling with six-figure budgets. For his breathtaking Beneath the Roses (2003–2008) series that captured haunting images of small-town American life, Gregory cast mostly local residents and used props you’d expect to see on a film set, including snow machines, lighting cranes and cherry pickers. He either built sets from scratch or shot on location in nondescript suburban streets, mostly in Massachusetts where he lives in a restored church when he isn’t based in New York. His crew numbered up to 60 and costs for the production rivalled independent film budgets – and that’s just for one photo. This elaborate body of work, along with the Fireflies (1996) and Sanctuary (2010) series, will be exhibited at IMA from this month. Born in New York in 1962, Gregory says his aesthetic has followed the same thread since he graduated from Yale University with a Master of Fine Art in 1988. His work is often compared to the surreal vision of filmmakers like David Lynch and the melancholic paintings of Edward Hopper. Gregory says his fantastical view of the world was sparked as a child. He remembers listening intently to voices murmuring beneath the floor of his family home as his father, a psychoanalyst, treated patients in his basement office. With Rick’s expertise, Gregory began using lighting cranes to direct light on his shoots. It gave his photos an eerie cinematic quality that he has nurtured and magnified throughout his practice. “At that time, everything was so provisional,” Gregory recalls of his early days with Rick creating the Twilight series in the late nineties. “There were no sketches. We just did it very intuitively. It felt like a real adventure. It felt like we didn’t even know what we were doing. We didn’t have permits or permission, we were going into people’s neighbourhoods and getting into people’s circuit breakers – it was all crazy and very dangerous, probably,” he says with a wry smile. Gregory admits finance was a constant challenge in his early career but he always found a way to make his pictures happen, motivated by excitement for the unknown. Asked his greatest achievement, Gregory notes his two children, aged eight and five. “I’m very proud of that,” he says of fatherhood. He still has much to achieve and is driven by the fact he never feels satisfied with his photos. His quest is to “make good pictures that are much more beautiful or meaningful”. "Have fire in you ... "